Rod Abrams Funeral Home Ltd. Our History - Rod Abrams Funeral Home Ltd.
What began as an affection some 40 years ago continues today with the commitment to service made by our professional staff at Rod Abrams Funeral Home Ltd. In 1965 Rod Abrams apprenticed with Turner & Porter funeral directors in Toronto and received his Funeral Directors license in 1966 after graduating from the Canadian School of Embalming, in Toronto, Ontario. Rod continued employment with Turner and Porter until 1973 when Rod and his wife Susan purchased the Anderson Funeral Home, in Tottenham, Rod’s hometown. Todd who resides in Dallas, Texas, and works in the computer and technology industry providing technology based solutions to funeral directors, and Scott who is actively involved in the family business since receiving his Funeral Directors license from Ontario Board of Funeral Service in 1998. All the staff of Rod Abrams Funeral Home are originally from the Tottenham, Alliston area and are actively involved in the communities. In January of 1988 Rod and Susan completed the new 13,000 square foot building they now occupy, overlooking the Nottawasaga Valley Conservation Area. The Funeral Home is built on 12 acres of land, into the side of a hill with 2 large parking lots able to accommodate up to 200 cars on funeral day. The spacious chapel can seat 125 people comfortably with a balcony that can accommodate 20 people along with the family room for up to 35 additional. Adjoining the chapel is an overflow area that has seating for approximately 70. This room also doubles as another visitation room. At the north and west area of the funeral home is a large receiving visitation room that can also be divided for use by two families. The large selection room is below the arrangement office and can accommodate 18 caskets. 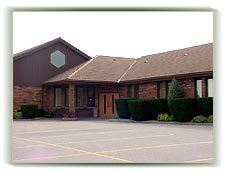 Our building is handicap accessible with all rooms for visitation and funeral services as well as washroom facilities on the main floor. The funeral home staff works closely with the area clergy who provide counseling as well as educational workshops. 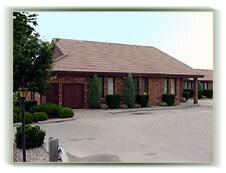 Tours of the funeral home are encouraged for students, health care workers, clergy as well as the general public. Price lists are provided outlining services as well as an explanation of the various costing for products and those services upon request. Rod and Sue Abrams are the sole proprietors of the business, and are members of the Ontario Funeral Service Association, Canadian Independent, Funeral Service Association of Canada, Canadian Independent and the Georgian Bay Funeral Service Association as well as the Tottenham & District Chamber of Commerce. Rod Abrams Funeral Home shall be the preferred provider of funeral services by anticipating, and exceeding the expectations of those families we serve. We will direct our families with the highest degree of professionalism with their selected funeral service. We will enable those we serve to make choices to enhance the services selected and promoting dignity while recognizing a life lived. We encourage an exceptional environment that would promote innovation, teamwork, professional practice and personal pride, which supports a culture of continuous quality improvement.